When I was growing up I thought only the rich and famous went to Europe. Once I went, I found that anyone can do it, you just have to be intentional! Start by picking where you want to go. Pick the time of year you want to go in. Then just plan it! There are quite a few variables in this concept, but you have to start somewhere. The list is the first step. My list is a mental list, some have bucket lists, anyway you want to do it start with the list. I would suggest write it down. Start a travel journal and the first page can be your list of places. In my head my list is in order of where I want to go next. It doesn’t always happen that way though. Most of the time, it’s the place that presents the deal for the time I am traveling. For example I wanted to go to Walt Disney World a few years ago, I found that it was a lot more inexpensive to go to Germany. Since I loved my trip to Germany the first time I went with the frugal route, I never regretted that decision either! Second step is to figure out the time you want to travel. If you are planning a summer vacation and do not like extreme hot weather then you better jump Alaska, New Zealand or Australia up to the top of your list. If you don’t mind the heat and all you want to do is sit by the pool or beach then pick something tropical or even Las Vegas. Sometimes you have to think of what is going on in the region. Like going to Germany during Oktoberfest, New Orleans during Mardi Gras, or New York City for New Year’s Eve. All these places have well known events happening and lodging is really expensive. Another thing to watch out for is religious celebrations like Ramadan in the Middle East. This is a time of fasting, so no drinking or eating during the day. Plus some places are closed. This could put a damper on your sight- seeing. Next, figure out who is going with you. Sometimes this can change everything! People always say they want to go, but not everyone is intentional! In some cases you might have to show people the way. If you really want to go with a particular person somewhere then you have to sometimes be pushy to make it go the way you want, take charge and plan it. Evaluate who you’re going to be traveling with. Many things can alter your trip. Some people want to spend hours in a museum, see every cathedral, go to all the clubs, if this isn’t your cup of tea don’t travel with them. Do some soul searching, find out what is important to you, look for someone similar to travel with. I personally found I am the type that wants to see everything. I keep going all day long, make the most of my experience. Then the planning, things can change during this process. People who were going can drop out, at the last minute someone can join, you really don’t know until the day you leave. For big trips most of the time I am taking 6 months to a year to plan these. Sometimes I see a deal that can’t be beat, and before you know it I am on a plane to London for a long weekend. There are many steps in the planning process. I will get into my process throughout my blog. This posting is just a highlight. Always have your passport up to date! Then when a deal comes in you can just go and have fun! 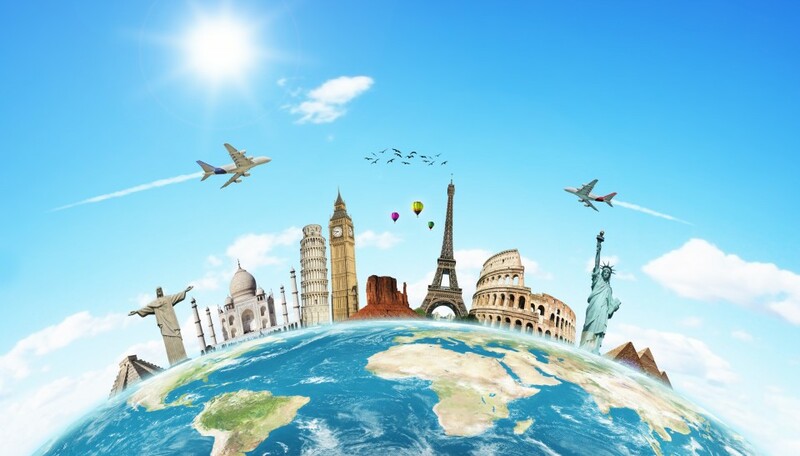 There are so many opportunities to travel and experience the world. We are lucky that as a Free Nation we can do that, you just have to be Intentional!